I'm on the hunt for cute things today at One Utama and something caught my eye at Daiso. It's face washing foaming sponges that's clip on to your cleansers! 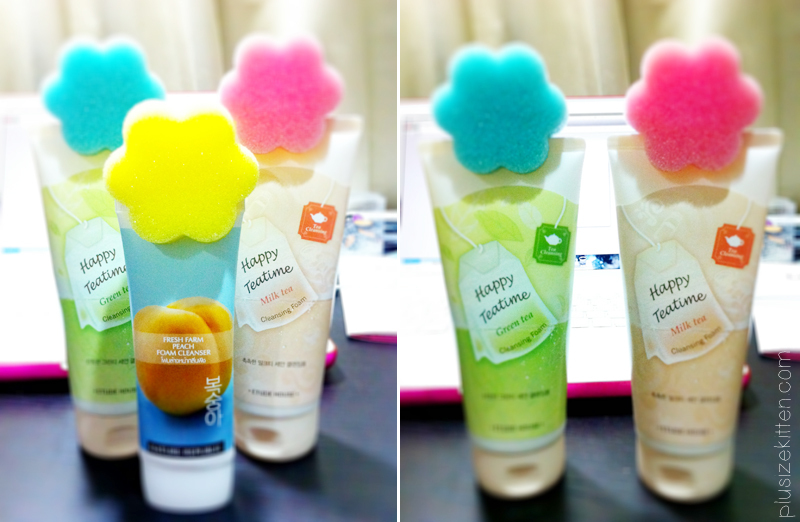 A set of 3 is only RM5 from Daiso (at the bath section where you can find a lot of sponges). Called the clip-on face washing foaming sponge, it comes in three colors only - pink, yellow and blue. The sponge has special cuts that allows your tube of cleanser to be clipped on. I wonder if we can diy our own by cutting as well? Etude House Milk Talk bath sponges are cute too! Nearby Daiso is Etude House, I have been stalking them for a bit lately. They have really cute and adorable packagings that I can't resist! Passing by I saw these... that look like what the Daiso clip on sponges! it's for shower gels instead! omg so cute! I'll probably get these tomorrow or something. Especially the choco shower gel with brown sponge. Looks yummy haha! finally a place to put my sponges! hate putting them everywhere or just on top of my sink or hang them. Some don't even have strings to hang. convenient & efficient, it's just on the product I need to use! weee!!! What I think should be improved? the sponges are quite rough, feels like scrubbing my face. different sizes for different size of cleansers. I find that the clip on can't fit properly on my Nature Republic face cleanser but it fits perfectly on my Etude House cleanser. yeah I can't resist getting! rm5 for 3, can use for hand or face exfoliating coz sponge surface is rough. Wah cute, oh étude house whts the price? It's RM12 per sponge. 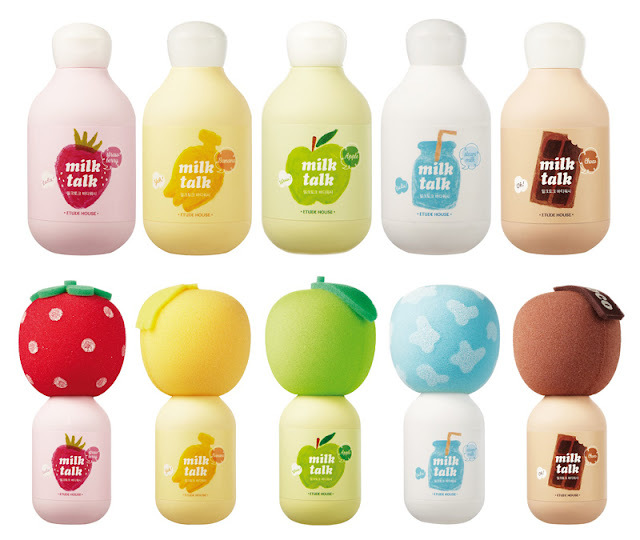 Available in strawberry, choco milk, steam milk banana and apple milk. May be you can try konjac sponge, can get it in Natural republic or sasa.. it is very nice and clean .. I tried it before. Wah, I need to get a pack of those!! Been looking for facial scrub from Daiso but the one i went to didnt have them in stock. These are so awesome! :D Thanks for sharing, Tammy! Thank you for sharing with us about this cute stuff! I'm off to Daiso now! =D I often leave the sponges everywhere and end up tak dapat pakai. lol ! me too, and best is when it's on top of the tube, it wil dry off by itself. Instead of dripping on some hanged accessory or on the sink or etc.. no air to dry.